A positive displacement blower with silencers creates the air required for material transport. 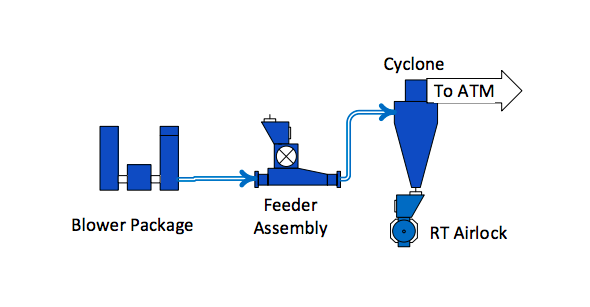 A feeder assembly is an airlock and allows introduction of material into the high pressure system. The high pressure piping has a thicker wall thickness than low pressure piping. Flatback elbows are used when making a direction change as the high pressure system uses fast velocities to transport material. A positive displacement blower creates the air and pressure required to transport materials through a pipe. 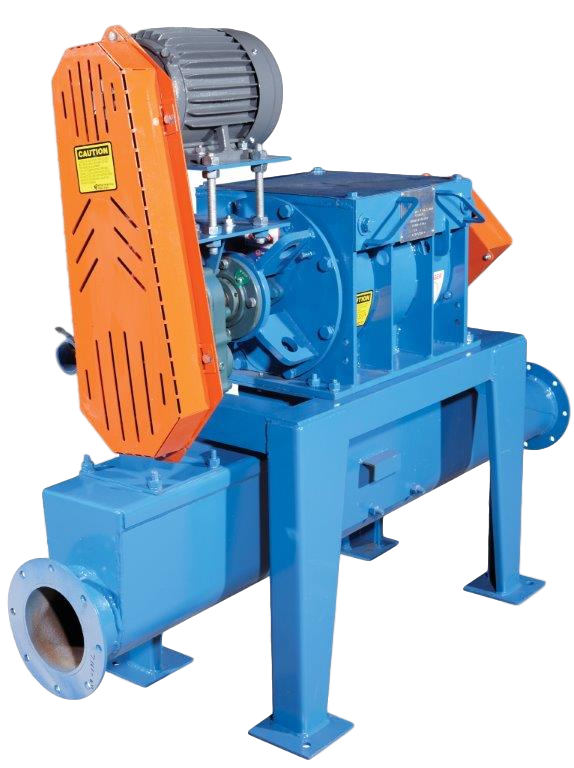 The blower and motor is selected specifically for the design parameters for a system. The blower requires an inlet and discharge silencer to attenuate the gear noise of the blower. The blower is mounted on a base which also includes motor and V-belt drive which powers the blower. After the discharge silencer, a pressure transducer is connected to the piping to sense pressure and provide signals to the plant PLC to protect the blower from an over-pressure event.